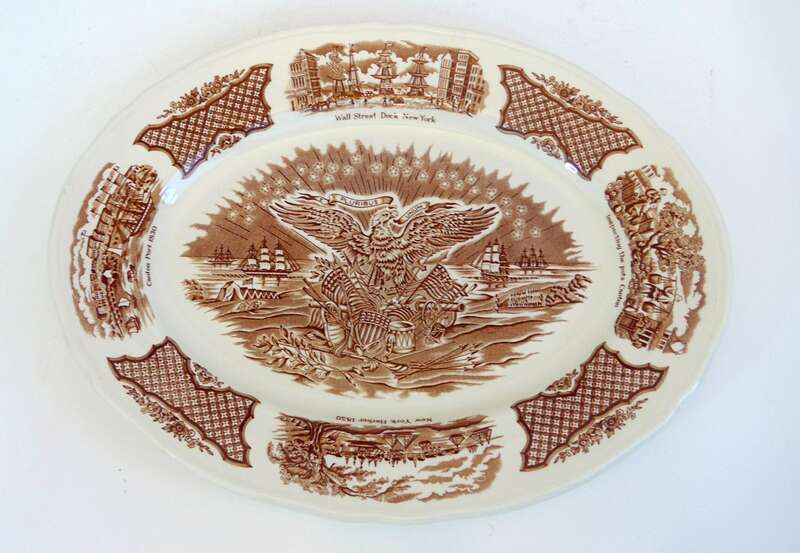 This vintage oval tray features brown ships and flowers depicting scenes of Chinese export to America made by Alfred Meakin of England. 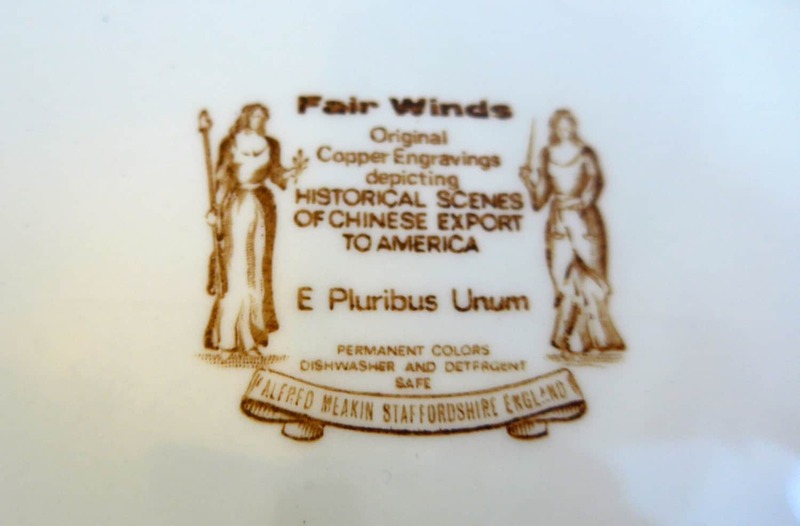 This pattern by MEAKIN Staffordshire in England is called FAIR WINDS, FRIENDSHIP OF SALEM. 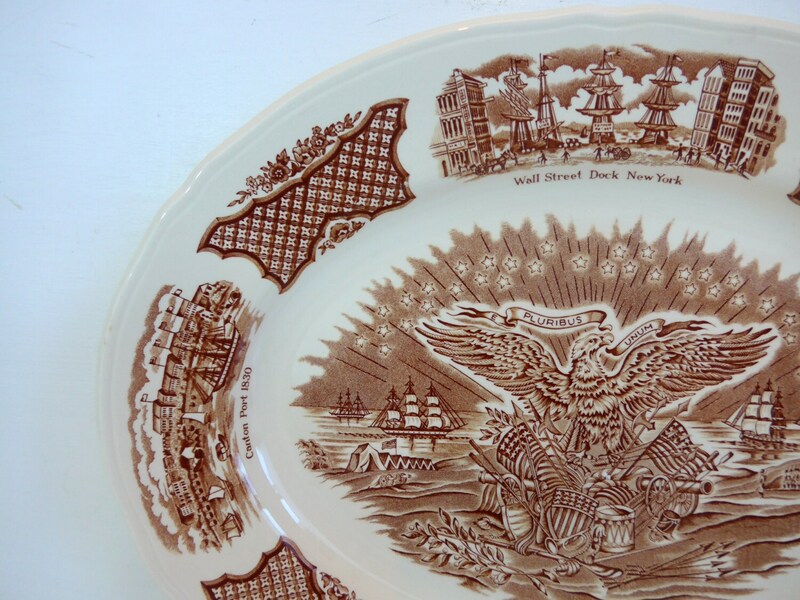 This Decorative Pottery Platter has scenes in the center and on the borders. 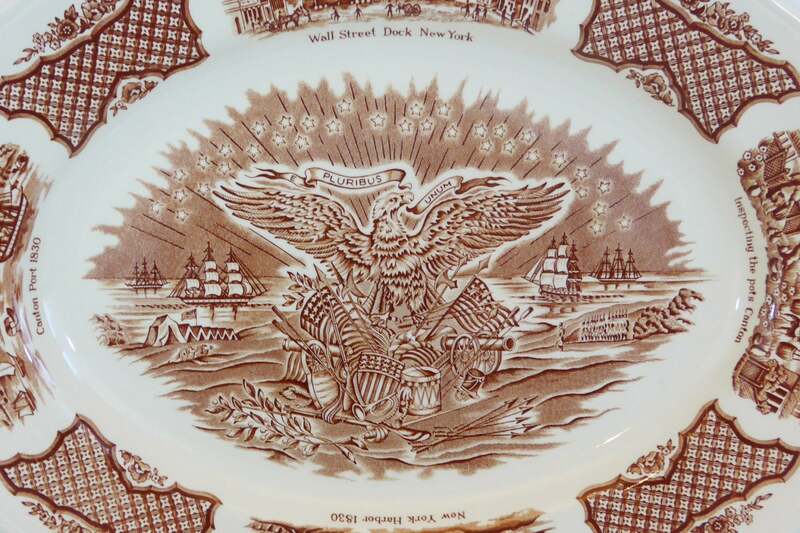 The center has E. Pluribus Unum and the sides have New York Harbor 1830, Inspecting the ports of Canton, Canton Port 1830 and Wall Street Dock New York. 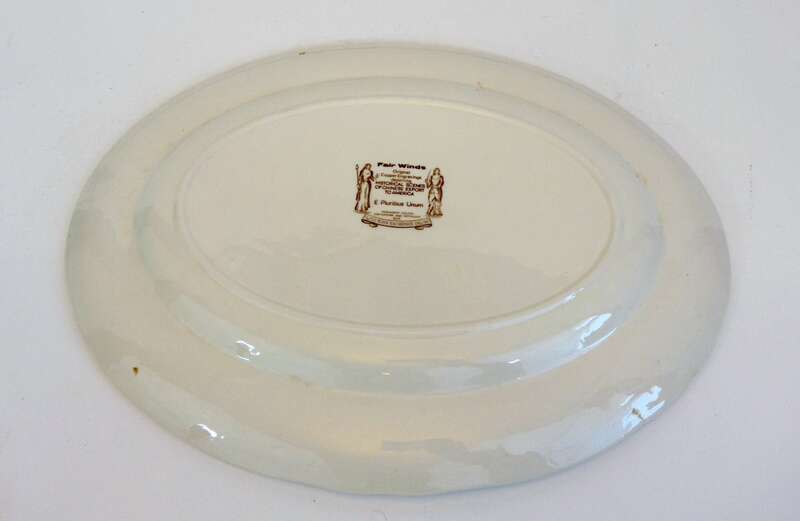 This china plate or platter is a 1970s reproduction and is color safe and dishwasher safe. Measures 14" long and is about 11" wide. In great vintage condition with no chips, cracks.